Sorry for not doing much this week. To afford my hobby (especially since I want to buy a bunch of Imperial Knights), I took up a part-time job. I originally was going to make use of the money I earned from my part-time job to buy and build a Deathwatch army, but I don't think I'll be able to do that, so that plan has gone out of the window. Deathwatch is no longer on the agenda. I don't have the time and funds for it, at least not in the near future. Instead I will focus solely on my Imperial Knight army. I came to a decision regarding House Yato. In the end, instead of bothering with all the crunch, gameplay, strategy, list-building, tactics and what-not, I decided to go back to my original inspiration for House Yato - House Taranis from Graham McNeill's Mechanicum. That is one of my favorite Horus Heresy books, right up there with A Thousand Sons. Actually, I'm not even sure which I prefer, but regardless, Mechanicum is up there on my list of favorites, and one of the reasons why I enjoyed it was because I followed the Imperial Knights of House Taranis, especially Raf Maven and Leopold Cronus - their journey to hunt that warp-cursed machine thing. That was one of the highlights of the book for me. Oh, and the last stand of the Knights of House Taranis and the Titans of Legio Tempestus. That was so heart-breaking to read and was what drew me to the awesome Knights in the first place. Furthermore, I remember writing a few years ago (was it 3 years? 4?) 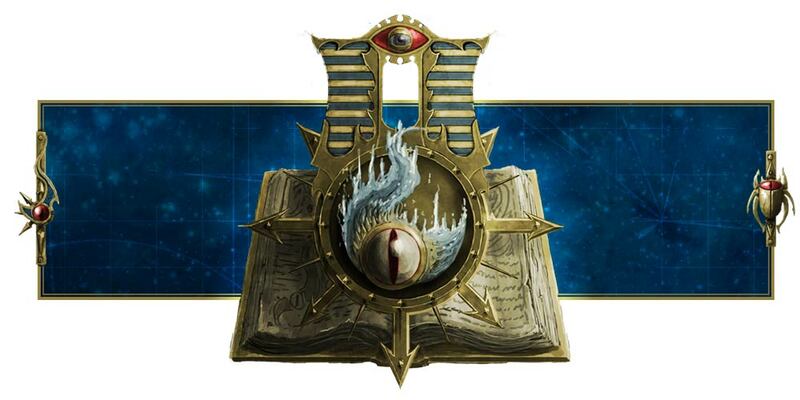 that House Yato and the Knight houses of Draconis III are closest to House Taranis because they do not need neural implants or sockets to connect with their Knights or something. So...yeah, I decided to model my Knight house after House Taranis in terms of gameplay too. So I'll be building a fluffy list rather than a competitive list (though the moment I chose Knights for my main faction, I doubt I can use that as an excuse). Just like the fluff I did for my original House Yato back in 7th edition, I decided to make them as close to House Taranis as possible. In other words, just like House Taranis, House Yato is blessed with the Omnissiah's Grace. Yay. So how do I build my Knight list? I already have a Knight army, so what do I add? I honestly do not think I'll get any new Questoris-class Knights since I practically have one of each except the Knight Gallant. The Knight Gallant is cool and all, but I'm not a big fan of pure melee units without much in the way of shooting. The Knight Crusader fits my style more, but obviously it would be impractical to take 3 of them in the same list, especially since they cost quite a bit in terms of both points and cash. So I'll work with what I have, and then add to my list a couple of the new Knights such as the Knight Castellan and Armigers Helverin. So how do I compile a list around these new units and still include my old units? Basically let's look at a 1,500-point list. Looking good. 3 Knights, perfect for a Super-heavy Detachment. Not only that, it gives me a whooping 6 bonus Command Points! Nice! And it's kind of fluffy, and I'm just gonna spam the Heirlooms of the Household Stratagem because...I can. Anyway, that's my 1,500-point list. For bigger games, I'll have room for at least one more Knight. Of course, there's always the option to swap the 4th Knight out for an Imperial Guard Battalion. This will give me more Command Points as well as infantry and a tank. After all, it's weird to have a Knight lance go into battle alone without infantry and armored support. Well, Knights are armor, but you know what I mean. It's unfortunate that Knights cost so much that I can only squeeze in a small, almost minimal Battalion, otherwise I would have a lance of Knights accompanying a full-sized Brigade. Well, that's that. What to do indeed. There you go. Perfect for a 2,000-point game, and the Astra Militarum detachment is a household retinue for House Yato, escorting and protecting the Knights with infantry and tanks. There's even Kamikaze Storm Troopers! For even bigger games, I can go with a pure Knights list. So that's a full pure Knights army for a 2,500-point game, if anybody ever wants to play that many points. I don't have to worry about it as I probably wouldn't be getting the Knight Valiant for a while. I'll focus on the Knight Castellan and Armigers Helverin for now, and once I'm done with that, I'll see how much funds I have left. Money is always a limiting factor. And time too. I've no idea how busy my next semester will be, so it might be difficult for me to build a second Dominus-class Knight during the semester. Won't stop me from trying, though. As always, it'll be funny to use the Our Darkest Hour Stratagem on my Knight Valiant, bring him back to life (on a 4+ though, ugh) and then unleash 3D6 auto-hitting shots with his conflagration cannon. Cool, eh? For the Emperor and the Omnissiah!